Auctions on eBay close at a prescribed time. Brick-and-mortar auctions, such as those held by Sotheby’s or Christie’s, end when the bidding ends. No auctioneer is going to cut off the feverish bidding for that one-of-a-kind Van Gogh, right? As long as someone is bidding, all systems are go. The last bidder standing wins. Because of this fundamental difference in the way eBay runs its auctions, you need to do some special work to make sure that you time your bid as strategically as possible. You can find out what time an auction ends by simply looking at the auction page. Note that eBay runs on Pacific Time and uses a 24-hour clock (00:00 to 24:00 versus the more familiar 1:00 to 12:00). To get the serious deals, you may want to synchronize your computer’s clock with eBay’s. First, you need to find out what eBay’s official time is. Then compare eBay’s time with your computer’s clock. On most Windows-based computers, the time is in the lower-right corner of the screen on the taskbar. The official clock at the eBay mothership appears, in the form of the Official Time page. Keep the browser open. Right-click your computer’s taskbar where the Date and Time appear. 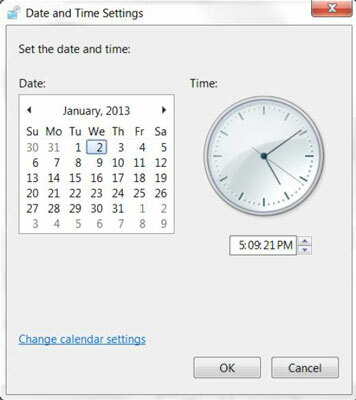 Click Adjust Date/Time, and a new window opens, showing your computer’s version of “official” time. If your clock does not match the official eBay time, click Change Date and Time. In the resulting dialog box, type in eBay’s “official” time and click OK. Although many people list their auctions to end at all hours of the day and night, the amount of bidders in cyberspace is higher during certain hours. Between the hours of 23:00 and 03:00, things run a bit slowly on eBay. If you’re online at that time, you may be able to take advantage of some very serious bargains. You can choose to view the auctions that are going to end in the next few hours by using the Sort By options from the drop-down menu. Here you can cruise the auction closing while the world is asleep, and bid to your heart’s content to get some great bargains.